Courtesy of Willis Allen Real Estate. Welcome home to Mission Beach! 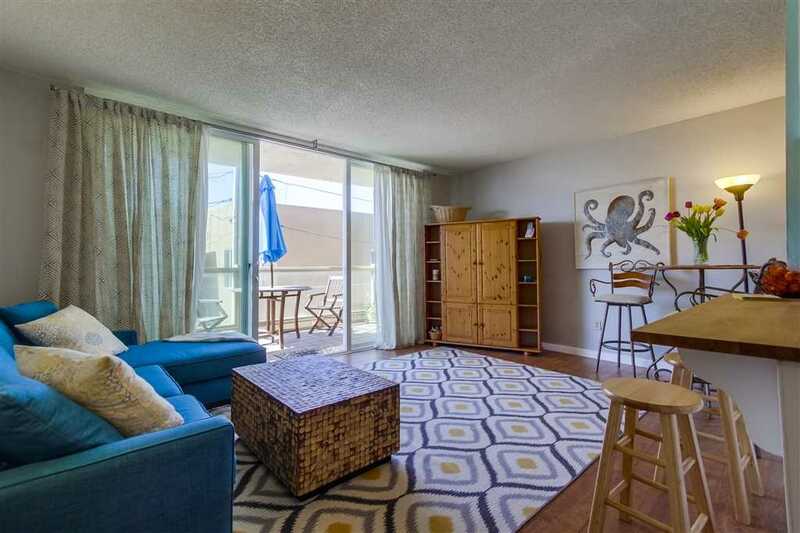 This charming 1 bedroom condo is just steps to the sand and San Diego’s famous boardwalk! Surrounded by eateries, coffee, shopping, and all things loved about America’s Finest City, this is the perfect place to call home at the beach, or as an incredible income property. Interior is updated throughout with laminate floors, butcher block counters in the kitchen, stainless appliances, etc, and the building allows for short term vacation rentals. A must see in Mission Beach! Please, send me more information on this property: MLS# 190014066 – $539,000 – 725 Redondo Ct 24, San Diego, CA 92109. I would like to schedule a private showing for this property: MLS# 190014066 – $539,000 – 725 Redondo Ct 24, San Diego, CA 92109.